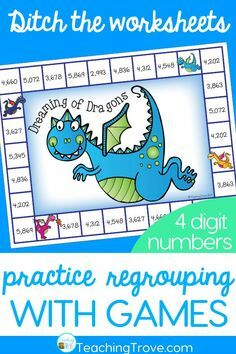 If your class had the choice between completing a whole page of two digit subtraction with regrouping equations OR playing a math game that required you to write equations, which would they choose? The writing math equations part probably has you thinking, neither. But what if they could work with classmates. Talk about strategies or ask for help if needed. And there was fun involved plus if they’re a little competitive, they might win. Now, what would they choose? 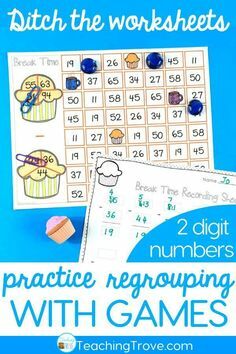 Mine would choose the two digit subtraction with regrouping game. Every.Single.Time. 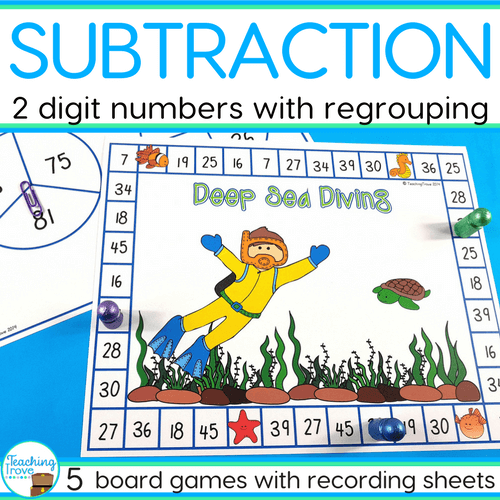 Two digit subtraction with regrouping can be a little tricky for some children. 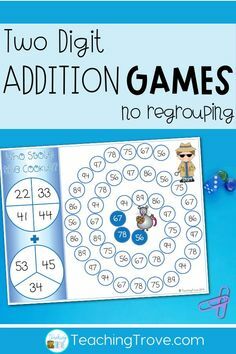 Even after you’ve taught it you’ll find children starting to confuse addition with subtraction or regrouping when they don’t need to. Some will work from left to right rather than right to left. When you use games you’ll see wonderful examples of peer tutoring as players help each other out when they get stuck. Something rarely encouraged with worksheets. 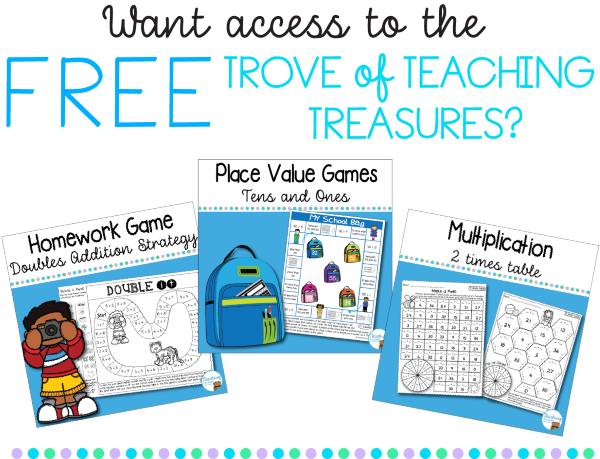 When you use games you’ll see your student’s motivation to do math increase. Because they have to record their equations students are still practicing the skill of regrouping and you’re still getting a page of equations you can use for assessment. 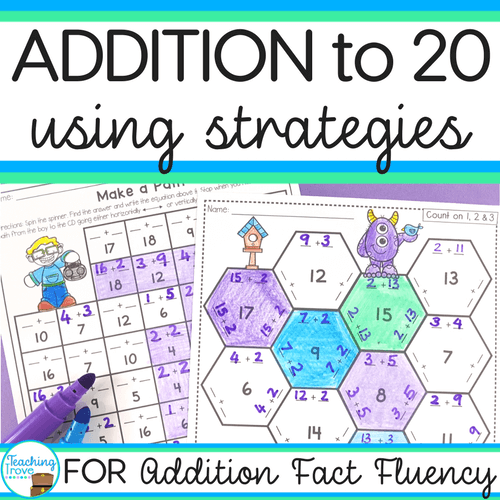 And because they’re more engaged in their learning it will lead to better mastery over the concept of two digit subtraction with regrouping. 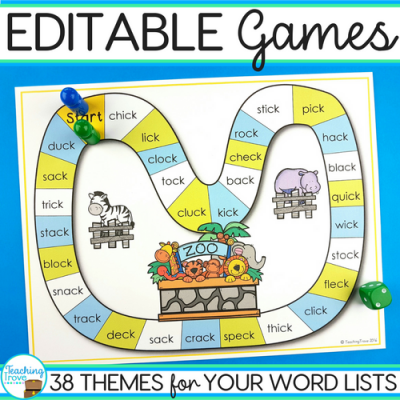 Students get automatic feedback with a game. When they can’t find an answer on the game board, they know they need to find their mistake. If they don’t correct their mistake they can’t move ahead. Mistakes can’t be ignored. Seeing a child complete a whole worksheet incorrectly makes me cringe. Instead of getting valuable practice time, they’ve just used the last fifteen minutes learning how to do something the wrong way! A game helps stop that from happening. Kids need repetition to gain and remember basic skills. 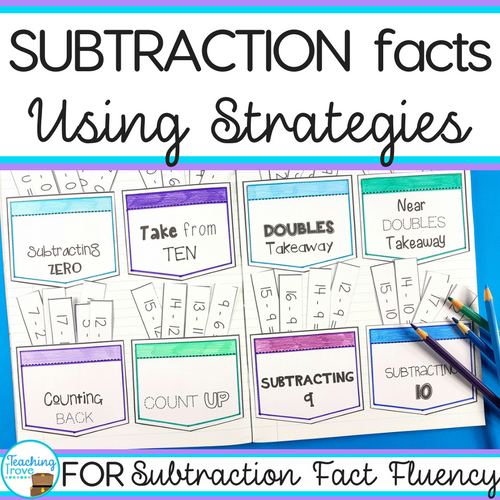 And two digit subtraction with regrouping needs to be practiced, all year long. 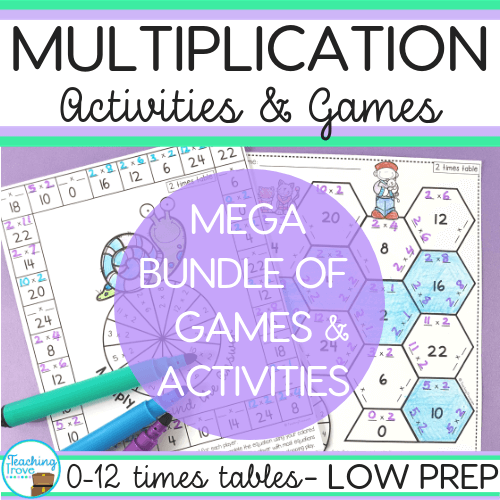 With games, repetitive practice is fun and motivating. Completing worksheets also provides repetition but definitely not the engagement. 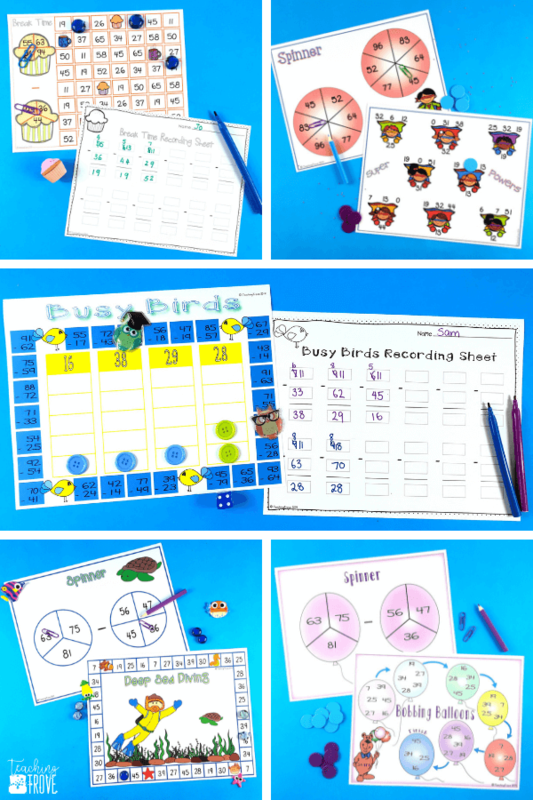 If two digit subtraction with regrouping worksheets aren’t inspiring your class to hand in their best work, try games. 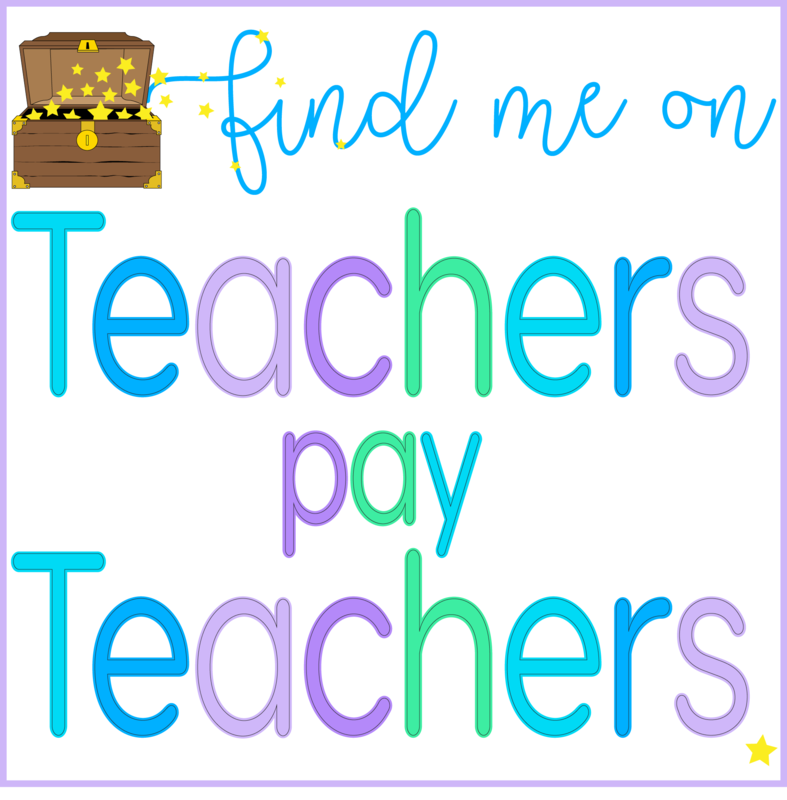 I promise you’ll see immediate engagement and lots of learning taking place. 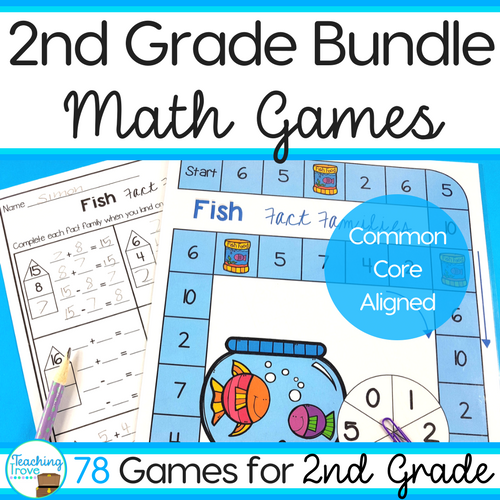 If you’re not quite sure how to include games in your center time, this post on setting up math centers will be helpful. 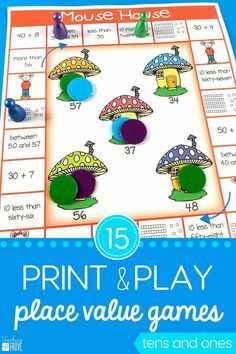 And if you’re all for ditching the worksheets and giving your students a fun and motivating way to practice their two digit with regrouping skills you can grab this game from my Teachers pay Teachers store.